Stay NEUTRAL, prefer diversified plays and real estate agencies. With muted price growth expectations for residential properties, we see no near-term catalysts for developers with large local market exposure, and expect share prices to stay rangebound. We prefer developers with well-diversified geographical exposure and high recurring income, along with volume-related plays (real estate agencies), which we expect to remain resilient. Top Pick: APAC REALTY LIMITED (SGX:CLN). Slower take-up rates at new launches; project pricing key for volume growth ahead. Our analysis of new launches (2019) shows take-up rates at launch weekends have been rather low, at 10-20%, vs 30-60% in previous years. This is not surprising, as buyers – being price-conscious – are adopting a wait-and-see approach amidst a huge supply in the pipeline. The trend is expected to continue, with only selective projects with strong attributes and pricing outperforming the rest. Overall, we expect a primary sales volume of 8,000-10,000 units for 2019. 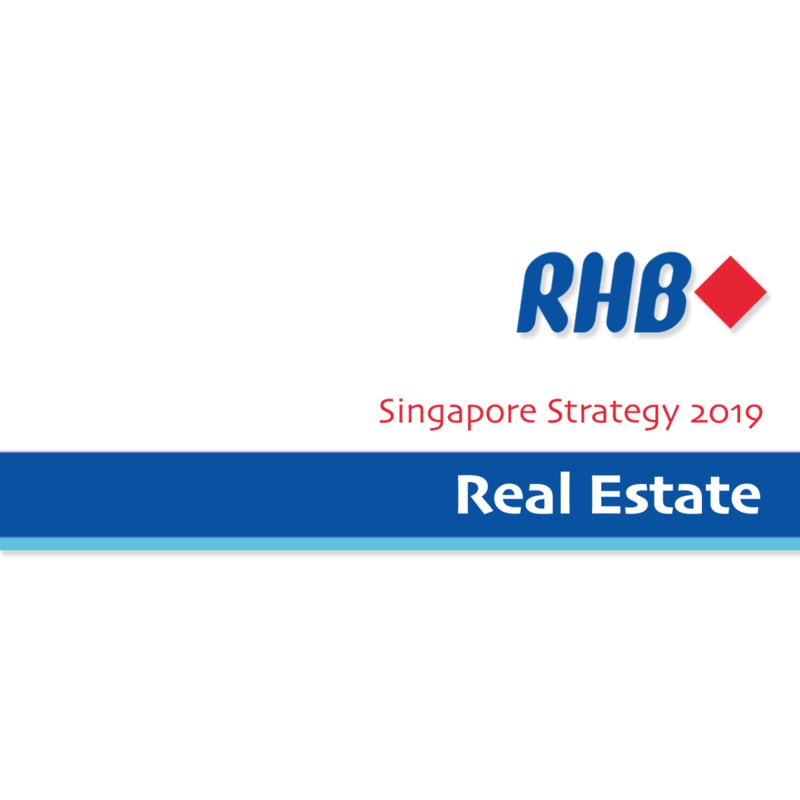 For the private resale market, we expect volumes to remain steady vs last year on the back of en bloc sellers looking for immediate replacement homes, spillover demand from new launches and the release of units previously held back on the expectation of potential en bloc sales. Developers’ cautious bids point to a soft market ahead. The recent land bids for Sims Drive and Middle Road sites indicate that developers are cautious on outlook and are buffering in a slight (~5%) price decline. Hong Leong Holdings and CITY DEVELOPMENTS LIMITED (SGX:C09)'s top bid of SGD383.5m (SGD732 psf ppr) for the Sims Drive site translates into an estimated breakeven point of ~SGD1,175 psf ppr and ASP of SGD1,350 psf (assuming a 15% margin). In comparison, Sims Urban Oasis, located next to the site, has seen recent transactions made at SGD1,350- 1,600 psf. For the Middle Road site, we expect the breakeven level to be around ~SGD2,000 psf and an ASP of ~SGD2,250 psf. In comparison, Duo Residences units nearby have changed hands at c.SGD2,000-2600 psf over the last six months. Prices to stay flattish in 2019. Urban Development Authority’s (URA) 1Q19 flash estimates showed that overall property prices declined 0.6% q-o-q (+3.2%YoY) following a 0.1% q-o-q dip in 4Q18. Unsurprisingly, the high-end segment saw the maximum decline (-2.9% q-o-q). As noted in our previous reports, the high-end segment is the most susceptible to the latest cooling measures as a high proportion of purchasers are mainly investors and foreign buyers. Mid-tier (-0.2% q-o-q) and mass market property prices were largely flattish. With > 50 projects in the launch pipeline (~19,139 units) buyers have plenty of choices – which largely limits developers’ pricing power. Developers also have little room to cut prices in new launches as many are sitting on expensive land acquired during the recent en bloc cycle. As such, we expect price growth to stay flattish in the 0-2% range this year. The challenging market conditions mentioned above are likely to compel developers to focus more on volume and less on margins. We expect margins to remain squeezed, at around 5-10%, compared to c.15-20% seen in the past.